Hey people back in Ottawa, I’ve been very busy lately getting our boat in shipshape but fortunately today I managed to get some pokemon-ing in for the third third Saturday! 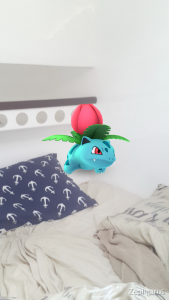 Although I didn’t catch more then like 20, it wasn’t all Pidgeys and Rattatas so that was good haha. Here’s a couple of the more interesting things I caught today (plus a Krabby). 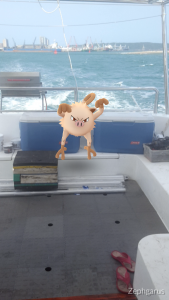 We started the day with getting some practice steering the boat and I turned on Pokemon Go while I waited for my turn and a Mankey appeared right there on the deck immediately, caught him without and trouble then went onto steering, turned on my phone afterwards and caught a couple Tentacools, Pinsirs and Weedles as well. After getting back I lay down to listen to music for a while only to check Pokemon Go and see an Ivysaur right there, it took half a dozen ultraballs but hey i got him and filled out that Pokedex entry! 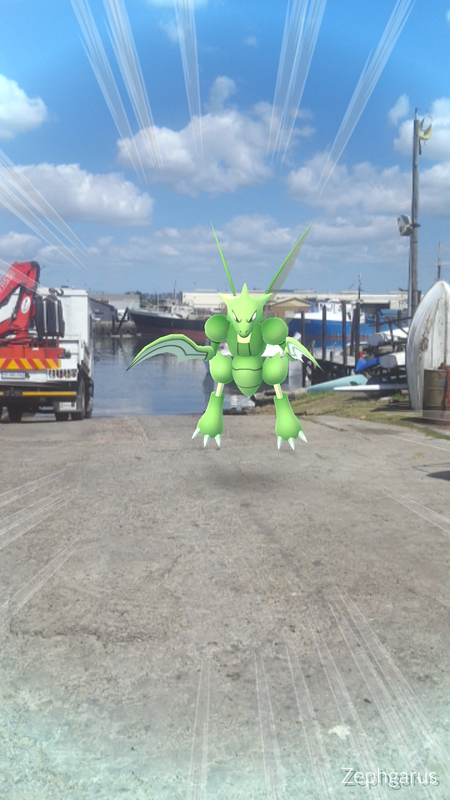 Later was walking around the yacht club and ran into a Scyther which i managed to catch after a few tries. 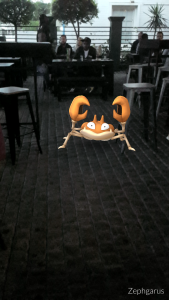 Not many more Pokemon catching happened today other then a lone Krabby that attacked us while we were at the bar.